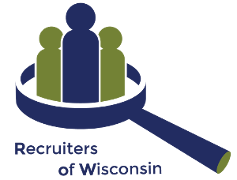 Join your industry’s professional organization and enjoy being one of the TOP RECRUITERS in Wisconsin. Whether you are a new company looking to establish yourself, or a veteran office that wants to stay on the leading edge of our industry, ROW is for you! The information on this form will be used to compile the Membership Directory. MEMBER AFFIDAVIT I have read and hereby subscribe to the standards of Ethical Practices of ROW, recognizing in them sound business principles. I accept them as a requirement for holding membership in ROW and acknowledge by my signature that the violation of any section thereof subjects me to expulsion by the ROW Board of Directors as provided in the by-laws.